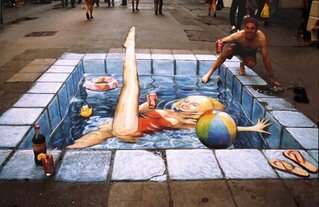 As the New Year approaches, enjoy some amusing and striking art creations. 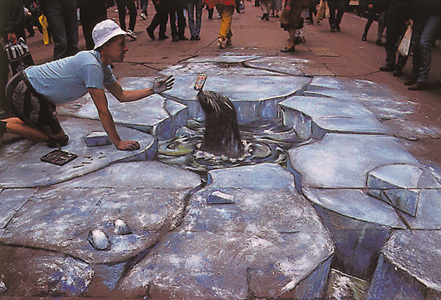 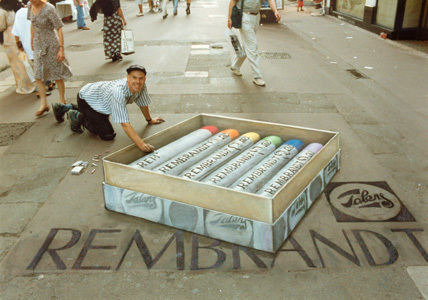 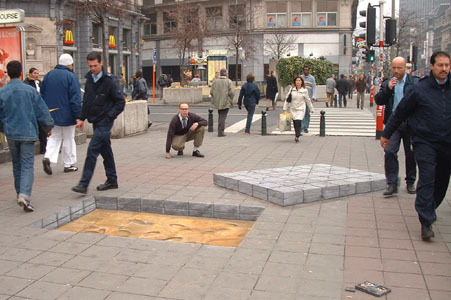 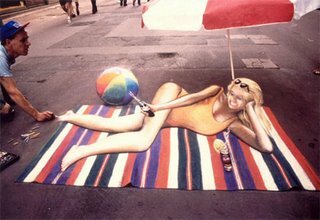 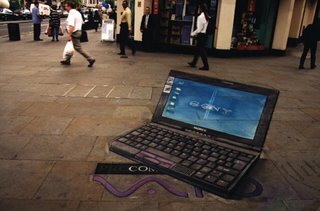 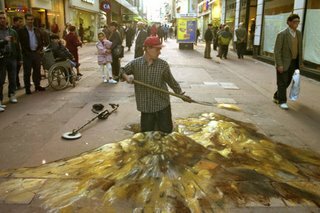 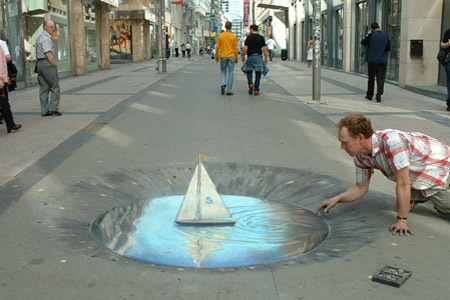 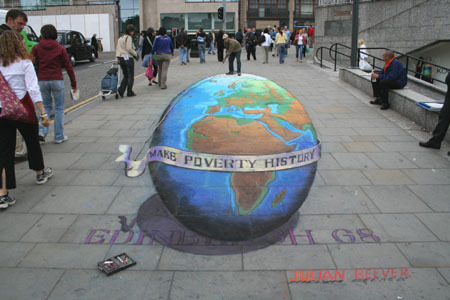 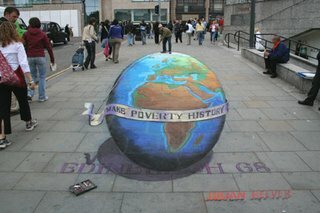 English artist, Julian Beever, is famous for his works of chalk art, which can be found on the pavement in numerous countries, including England, the United States, France, German, Belgium, and Australia. 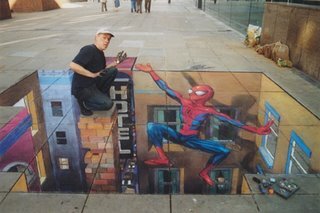 Below is a sampling of his realistic drawings.